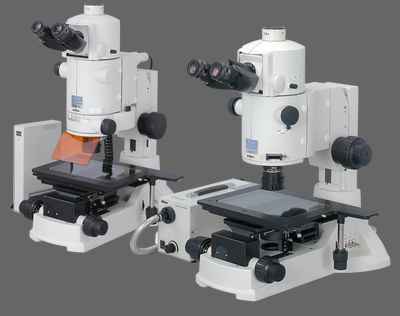 C2+ | Confocal Microscopes | Products | Nikon Instruments Inc.
An essential instrument for the microscopy lab. 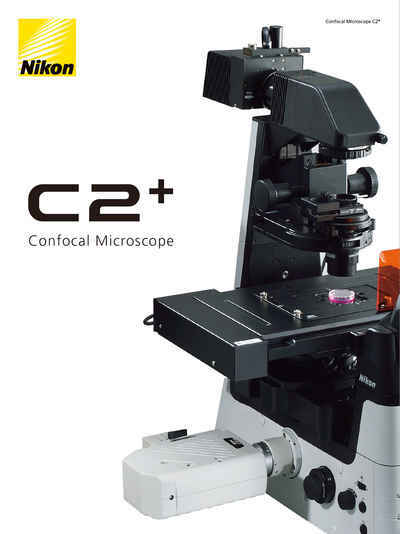 The C2+ confocal microscope is a basic model within the family of Nikon confocal products. The C2+ is designed as an essential microscopy tool for the laboratory, providing powerful and robust imaging capabilities. 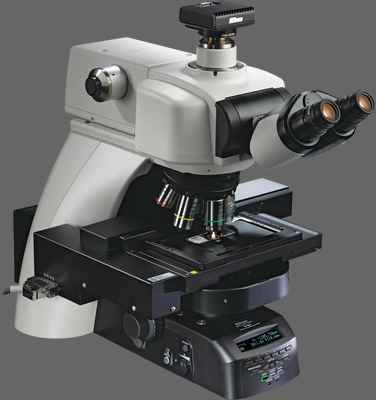 The high-efficiency scan heads and detectors, coupled with Nikon's unrivaled optics, provide superior confocal images. The high-speed galvano scanners, operating at rates of up to 100 fps*, enable even the fast-beating motion of cardiac muscles to be captured with precision. The system also provides simultaneous acquisition of three fluorescent channels plus DIC in a single scan. For research that requires spectral imaging capabilities, Nikon's C2si+ system provides dedicated spectral detector units in addition to the standard fluorescence detector units. The C2si+ system allows high-precision and high-speed 32-channnel spectral imaging or high-sensitivity spectral imaging. Built on a reputation of incredible stability and operational simplicity, coupled with superior optical technologies, the C2+ confocal system is the essential laboratory tool. Galvanometer-based high-speed scanning enables confocal imaging of fast, dynamic events in live cells, such as the beating motion of cardiac muscle cells. In traditional confocal systems, fast bi-directional scanning can lead to pixel shifts. However, the C2+ confocal system's pixel shift correction mechanism ensures acquisition of the highest quality images even with fast bi-directional scanning. Nikon's unprecedented optics and time-proven, highly efficient optical design provide the brightest and sharpest images, at the longest working distances. 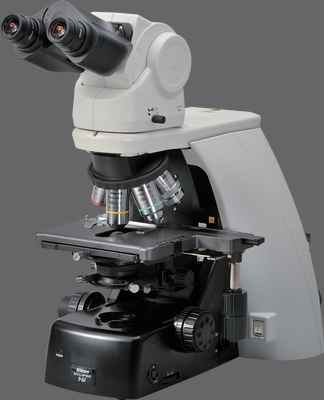 The compact scan head size enables the C2+ to be used with a variety of Nikon microscopes. The C2+ employs high precision mirrors and optically superior circular pinholes, and separates the detectors to isolate sources of heat and noise, enabling low-noise, high-contrast and high-quality confocal imaging. The newly developed scanner driving system and Nikon's unique image correction technique allow 8 fps (512 x 512 pixels) and 100 fps (512 x 32 pixels) high-speed imaging. These high-numerical-aperture (NA) objectives provide chromatic aberration correction over a range of wavelengths, from ultraviolet to infrared, and are ideal for multicolor confocal imaging. In particular, the LWD Lambda S 40XC WI lens has an extremely wide chromatic aberration correction range from 405 nm to near-IR. The transmission property of these lenses is enhanced through the use of Nikon's exclusive Nano Crystal Coat technology. These objectives boast an unprecedented NA of 1.49 (using a standard coverslip and immersion oil), the highest resolution among Nikon objectives. Correction collars enable optimization of point spread functions for varying imaging temperatures, ensuring highest quality confocal images whether you are imaging at room temperature or at 37 degrees Celsius. The C2+ can acquire simultaneous three-channel fluorescence or simultaneous three-channel and diascopic DIC observation. High-quality DIC images and fluorescence images can be superimposed to aid in morphological analysis. 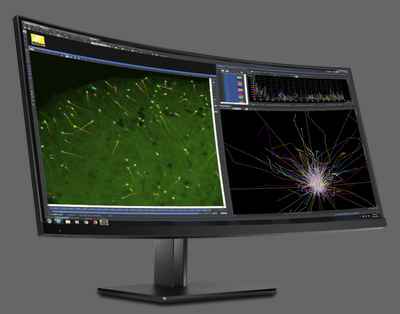 The superior operability and diverse analysis capabilities of the NIS-Elements imaging software satisfy both beginners and experienced confocal users. 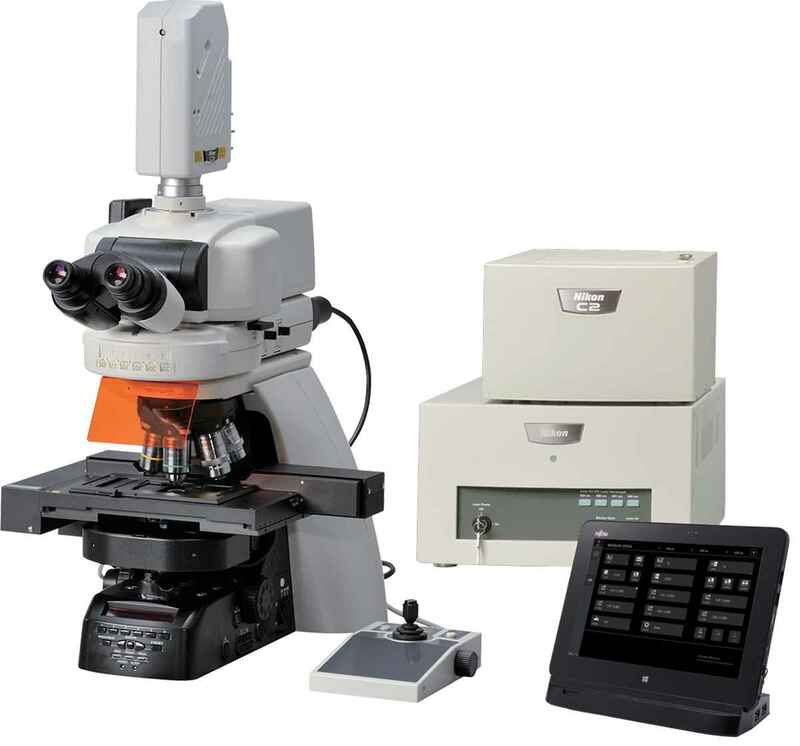 In addition, NIS-Elements allows for intuitive operation not only of Nikon microscopes but also of third party peripheral devices for a broad range of experiments. Numerous functions for analysis and unmixing of acquired spectra are provided, while spectral profiles of general dyes and fluorescent proteins are preprogrammed. Easy-to-recognize display for setting lasers, detectors, etc. Acquisition of a 32-channel spectral image (512 x 512 pixels) with a single scan in 0.6 second is possible. Moreover, 512 x 32-pixel images can be captured at 24 fps. Accurate spectral unmixing provides maximum performance in the separation of closely overlapping fluorescence spectra and the elimination of autofluorescence. Superior algorithms and high-speed data processing enable real time unmixing during image acquisition. indicated in green and YFP is indicated in red (right). Simultaneous excitation with four lasers (selected from a maximum of eight wavelengths) is available, enabling spectral imaging across wider bands. Filter-less intensity adjustment is possible by selecting desired spectral ranges from 32 channels that match the spectrum of the fluorescence probe in use and combining them to perform the filtering function. With a GaAsP PMT, the C2-DUVB tunable emission detector delivers flexible detection of fluorescent signals with higher sensitivity. User-defined emission bands can collect images within a selected wavelength range, replacing the need for fixed bandwidth emission filters. Users can define the emission bandwidth range to as little as 10nm. Spectral images of multi-labeled specimens can be acquired by capturing a series of spectral images while changing detection wavelengths. Based on the application, virtual bandpass mode and continuous bandpass modalities are selectable on the C2-DUVB. An optional second GaAsP PMT provides flexibility in detection. Users can divert selected wavelengths to the 2nd fixed bandwidth emission channel by inserting a dichroic mirror, while simultaneously utilizing the user-definable emission band on the first channel. The second detector allows FRET, ratio imaging and other applications requiring simultaneous multi-channel imaging. Multi-channel images acquired with the C2-DUVB can be spectrally unmixed by using the spectra of reference samples, or the spectra within the acquired images. 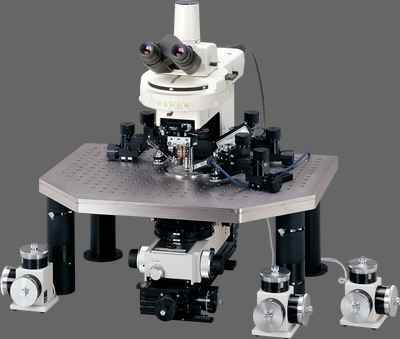 The C2+ can be coupled with upright, inverted, electro-physiology, and macro imaging microscopes and has options for combinations with various high-quality research experiment systems. All can be controlled with NIS-Elements software. With its output fiber switching system, the LU-NV laser unit can support multiple laser applications, such as C2+, TIRF and photoactivation. This enables high resolution confocal imaging, imaging of single molecules with an extremely high S/N ratio, and imaging of the fluorescence characteristic changes of photoactivated and photo-convertible fluorescent protein, all on a single microscope platform. The AZ-C2+ macro confocal system enables confocal image acquisition of large specimens (> 1cm) with high resolution. Stunning, large field-of-view images with exceptionally high signal-to-noise ratios of whole embryos and large tissue slices can be captured in a single acquisition at pixel resolutions of up to 2048x2048. 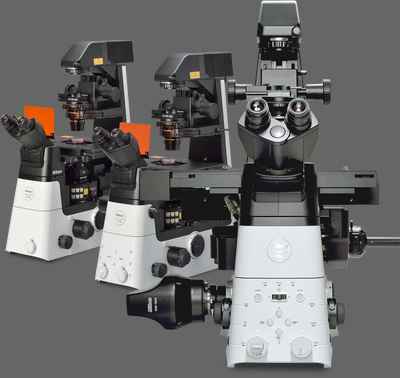 Moreover, the AZ-C2+ macro confocal offers a combination of low and high magnification objective lenses, variable optical zoom and confocal scanning zoom function, enabling continuous imaging from macro to micro with a single microscope. The AZ-C2+ macro confocal enables in vivo confocal imaging of macro specimens which is not possible with traditional stereoscopic microscopes.